The cast of Sabrina the Teenage Witch reunited at L.A. Comic Con 2017 on Saturday and had plenty to say about the state of their characters in 2017! Melissa Joan Hart, Nick Bakay, Caroline Rhea, Beth Broderick, Nate Richert, Alimi Ballard, David Lascher, Soleil Moon Frye, and Elisa Donovan all appeared on a panel moderated by EW’s Marc Snetiker, and the conversation turned to The CW’s upcoming Sabrina-centric Riverdale spinoff. Hart and her costars shared photos from the reunion on social media. “Missing some of our friends but having fun catching up after 20 years,” she wrote on Instagram. “Reunited,” Richert also posted. In the US, Sabrina the Teenage Witch ran from 1996 to 2003, moving from ABC to The WB after its fourth season. In the UK, Sabrina the Teenage Witch ran from 1997 to the mid-noughties, and quickly became a top show on Nick, often winning Watch Your Own Wednesdays, Watch Your Own Weekends, Watch Your Own Weeks, and Head 2 Head battles. The series finale saw Sabrina reunite and drive off into the sunset with her high school boyfriend Harvey (Richert). So where would that version of Sabrina and her friends and family be today, Chilling Adventures notwithstanding? Broderick, who played Sabrina’s Aunt Zelda, didn’t hesitate for a second when asked. “Aunt Zelda is driving an Uber in the Other Realm,” she said serenely. In additional The Chilling Adventures of Sabrina news, Riverdale showrunner Roberto Aguirre-Sacasa, who will also be steering the Sabrina remake, teased fans earlier this month with a script detailing a conversation between Sabrina and Harvey. Riverdale airs on The CW in the US, while Netflix airs the show a day later in the UK. 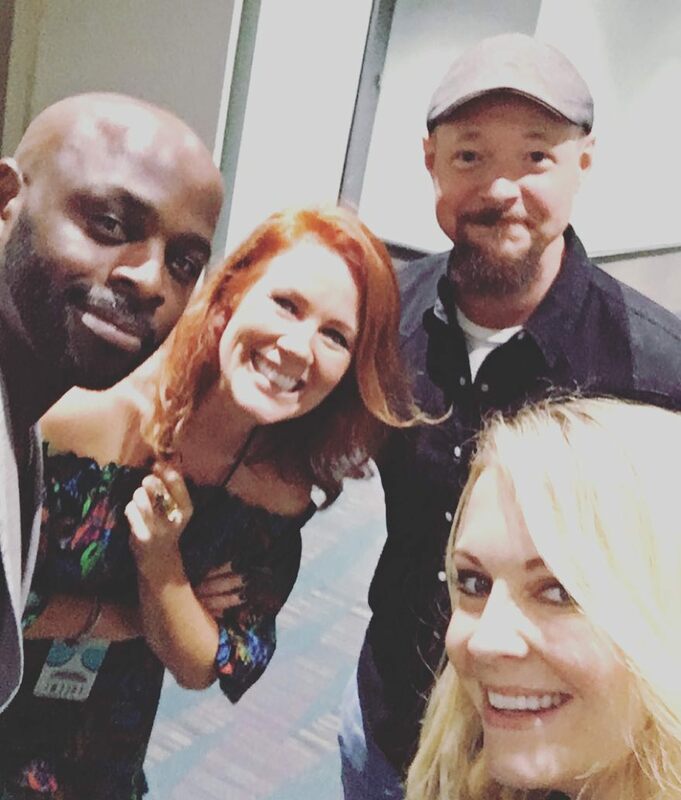 On Saturday, the cast of the beloved TV show Sabrina the Teenage Witch — which ran from 1996 to 2003 — reunited for a panel at Los Angeles Comic Con, and the former teen witch, herself, documented the whole thing on Instagram. 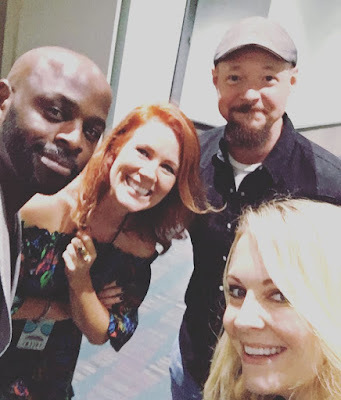 “Love these peeps #framily,” Melissa Joan Hart, 41, wrote alongside a photo of the cast members backstage, including Nate Richert (Harvey), Caroline Rhea and Beth Broderick (who played Sabrina’s aunts Hilda and Zelda), Alimi Ballard (The Quizmaster) and Nick Bakay (who voiced Salem the cat). During an Instagram live video, Hart also revealed that the get-together was “so crazy” because it was the first time some of the actors and actresses had ever met. Several had been on the show at completely different times — like Ballard and Elisa Donovan, who played Morgan, one of Sabrina’s roommates in college. Richert also shared a video of the crowd’s applause as the reunited actors took the stage together for the first time in 20 years. Walking up to the STTW panel at @stanleecomiccon went just like this. Follow NickALive! on Twitter, Tumblr, Google+, via RSS, on Instagram, and/or Facebook for the latest Nickelodeon at New York Comic Con News and Highlights!